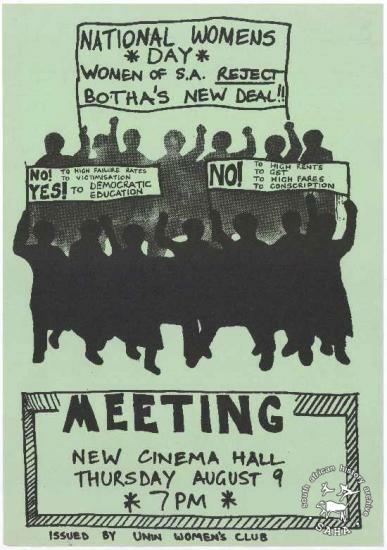 SAHA - South African History Archive - NATIONAL WOMENS DAY : WOMEN OF S.A. REJECT BOTHA'S NEW DEAL!! NATIONAL WOMENS DAY : WOMEN OF S.A. REJECT BOTHA'S NEW DEAL!! 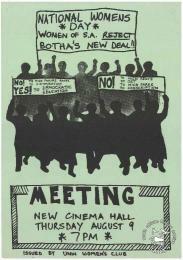 Title: NATIONAL WOMENS DAY : WOMEN OF S.A. REJECT BOTHA'S NEW DEAL! !